Why would I need self storage in Suitland, MD? There are a variety of reasons why you might need self-storage in Suitland, MD. How much is a storage unit in Suitland, MD? The cheapest storage unit in Suitland, MD is $57.00 per month. What size storage units do you have available in Suitland, MD? In Suitland, MD we have sizes that range from 4'x6' to 10'x30' to suit your storage needs. How much is it for a 4'x6' storage unit in Suitland, MD? The cheapest 4'x6' storage unit in Suitland, MD is $57.00 per month. Suitland is a midsize community in Maryland's Prince George's County, located just 1 mile south of Washington D.C. The area is best known for serving as the location of many government offices and headquarters, including the U.S. Census Bureau headquarters, the National Archives and Records Administration and many Smithsonian Museum offices. The community of Suitland is named after Col. Samuel Taylor Suit, whose family farm was known as Suitland. In 1892, the majority of the Suit family's land was sold to William A. Harrison, yet the Suit family continued to heavily influence the growth of the city, despite retaining just three of the original 41 acres. Col. Suit's son Arthur served as constable and deputy sheriff and maintained a store, a bowling alley and a bar in the town. By the turn of the century, Suitland had expanded to include a post office and a general store as well as several dwellings. In 1909, residents formed the Suitland Improvement Association and constructed a community meeting hall to house their activities. Until World War II, Suitland was a quiet, rural farming community. However, the war created increased demand for government offices, earning Suitland a government grant and many new offices. 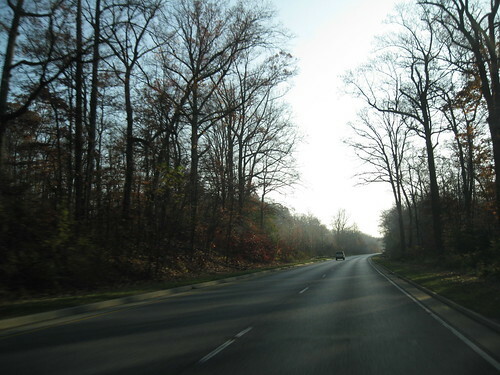 Because of its proximity to Washington, D.C., Suitland is home to many commuters. The D.C. area offers a wide range of job options, including in the industries of government, education and tourism. However, there are jobs to be found in Suitland as well. The community is the home of multiple government agencies, including the Office of Naval Intelligence, the Bureau of Economic Analysis, the U.S. Census Bureau and the Smithsonian Institute's Museum Support Center. With so many agency offices in the area, Suitland offers a large number of government-related jobs. Students in Suitland attend Prince George's County Public Schools. If you'd prefer to enroll your child in a private school, you'll find numerous options throughout the D.C. area. Utilities: Major utilities providers in the Suitland area include Washington Gas, Pepco, Baltimore Gas and Electricity Co. and the Washington Suburban Sanitary Commission. Garbage and Recycling: Most residential areas of Suitland enjoy weekly trash and recycling collection. Transportation: There are a handful of Washington Metro stations located in Suitland, providing easy transportation throughout the D.C. area. Despite its proximity to Washington, D.C., Suitland has a very affordable housing market. Home prices are just slightly higher than the national average, but dramatically lower than what you would typically find in the D.C. metro area. Because it's such a small community, however, housing options can be very limited, so keep that in mind when starting your search. Our lowest priced units in Suitland, MD average $70.50 per month. 139 people have reserved units in Suitland, MD in the past 30 days. There are 2 locations within Suitland, MD's city limits. There is 1 location in Suitland, MD that offers AC and Heating features.